Olga joined Truffle in August 2016 as Head of Investor Relations and Marketing. 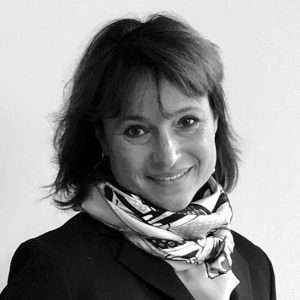 She has acquired a varied professional background working for Matra (as R&D Engineer), for BFT Gestion (as Head of Research), for Natixis AM (as Senior International Sales Manager, in charge of institutional clients in Germany, Switzerland, Scandinavia and The Netherlands), for Edmond de Rothschild (as Senior International Sales Manager, Head of Northern Europe) and from 2011 until end of July 2016, for Idinvest (as Partner, Head of Business Development: Fundraising, Strategy, Marketing, Communication). Educational qualifications: Moscow State University MS Mathematics – Applied Mathematics, PhD in Applied Mathematics at Bordeaux University, INSEAD MBA.